Request a lesson from an online tutor! If you click on an online tutor, all of their available lessons will be shown on the next page. 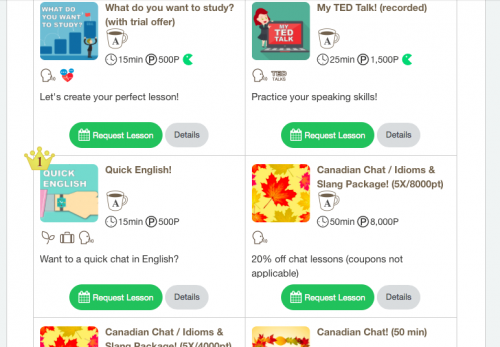 Choose a lesson and click “Request Lesson.” You will automatically be signed up for the next available slot (the expected wait time will be shown at the bottom of the page). Don’t forget to login to Skype and accept the contact request from your tutor.